Looking for private in-home or in-studio Music Recording lessons? Our Valencia teachers are ready to get you started. Find your teacher today! Check out some of our most popular teachers near Valencia, CA including Los Angeles, Glendale, Burbank, Pasadena and North Hollywood. I teach how to make recordings sound good! If you would like to improve your guitar playing quickly, I can help out. I have been playing and teaching guitar for 30 years, including studio work for film and television. I have a Bachelor's Degree in Music Performance from USC. I am also a former instructor at the Musician's Institute of Hollywood, and Dietz Brothers Music in Manhattan Beach. Lessons are structured around your musical interests and goals. I have a library of customized lessons, that I give out each week, as handouts to the student. I like to set clear practice goals with each student, but leave it to him/her as to how much they practice. I teach a diverse range of styles, and am confident I can help you reach your musical goals ahead of schedule! I will bring all the teaching materials. Almost all guitar styles, modern and traditional. Can teach tablature or traditional staff. Exercises to teach creativity and musicality. Computer software for sound processing and recording. I signed up to play guitar for "The Sound of Music" with Burbank Community Theater, and after I got the music I realized I was way over my head. So, I went to Mike hoping to get a lot of help. He's amazing. First, he sight-read all of my music, which is crazy. Then he was able to simplify it for me so I could play it and still make it sound good. If it wasn't for him I wouldn't have been able to do the show. And now that I've done the show successfully I have a whole new range of skills on the guitar and playing the songs I love is way easier. I'm so grateful for Mike and everything he's taught me! Mike is a fantastic teacher. He really listens to what the student wants to learn and tailors accordingly. Mike knows music theory and plays lots of different styles so is able to accommodate a wide range of skills and interests. He's direct but gentle with his suggestions. I highly recommend him! I have been playing music since I was 7, and now play the guitar, bass, violin, piano, and I also sing. By the time I entered the University of Southern California, I had released my first album of original music, toured the west coast with my own band, toured internationally to China, Canada, France, England, Hungary, Ukraine, and Austria, and performed with The Vienna Boys Choir among other notable musical ensembles. ns for the last 6 years. With all of this experience and knowledge, I offer a student a very rich understanding of many styles of music. I can ensure that a student gets on the right track towards a bright musical future, whether they want to become a professional musician or whether they want guitar as a lifelong hobby. When you take lessons from me, you will be taking the fastest route to success: playing a lot of guitar! We will cover everything from music theory to technique to soloing to playing your favorite songs, but we won't be spending the lesson time talking. Everything you learn will be quickly put into a playable, practical context, so that you learn the most, and have the most fun! I have high expectations for my students, and practicing every day is a requirement. But because my curriculum is personally tailored to each individual student, and involves a lot of the music that the student is most passionate about, I find my students often love to practice! I also use a variety of musical texts to enrich the students learning (including, but not limited to, Practical Theory for Guitar by Don Latarski, Effortless Mastery by Kenny Werner, the Real Book series, and various Mel Bay books). After about 6 months, a new student will have learned most basic chords and scales, the building blocks of playing solos, and a good handful of their favorite songs! More experienced students will have enriched their understanding of guitar and how it relates to the music they love, and music that is new to them! Lessons will happen in a studio room at the guest house, electric/acoustic guitars, bass and amps are available, it has instruments on the wall, computer with recording equipment, free street parking. In the event that a student in allergic to cats/dogs, the lessons can occur on the backyard at a roofed area. I specialize in rock, pop, folk, and jazz guitar styles. I focus on material that the individual student is excited about and wants to learn, and incorporate fundamentals and other pertinent skills necessary to maximize the students ability. For bass guitar I specialize in rock and pop. Contemporary songwriting technique is not genre-specific and I can teach any type of songwriting, from hip hop to country to rock. I have been a songwriter for 7 years, and have released 3 full length albums and one EP of my original material. I was also a student in the pilot classes which later became USC's Popular Music degree program. These classes focused on songwriting and were taught by industry veterans Chris Sampson and Richard Smith. I was trained in advanced music theory as part of my degree from USC. I integrate theory into my other lessons but I can also teach theory alone. I have advanced skills with ProTools and have extensive experience (5 years) in recording, from professional studios to personal home setups. Alex is great! Classically trained musician, very easy to get on with, knows his stuff. Highly recommend. He is a really nice guy and comfortable to work with being taught. In my first visit I was taught a lot more than I thought I would. Very surprising. 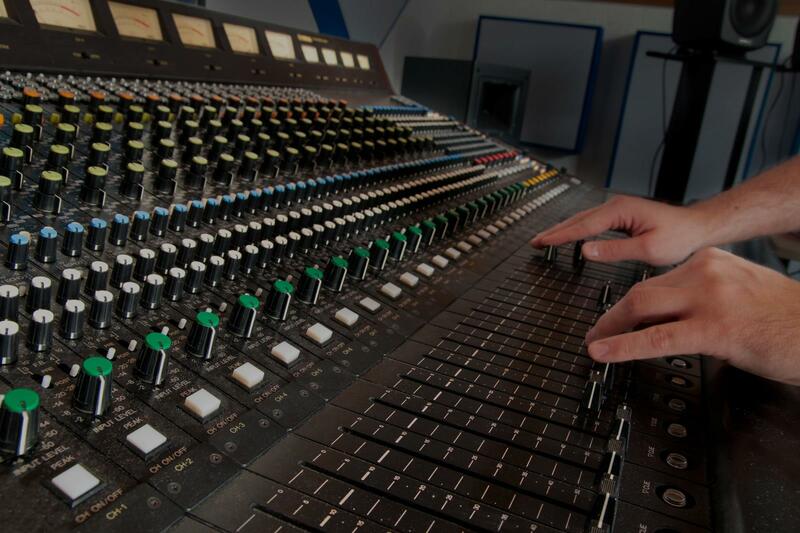 With years of experience in the recording studio, I will provide instruction in everything from studio etiquette, snacks, microphone technique and corrective maneuvers, as well as connections to music supervisors all over Los Angeles. I enjoy teaching music production so that my students can go on to record and create their own music. I have been a professional Piano and Keyboard player for many years and enjoy teaching students of all skill levels. In addition to teaching, I'm a music producer and composer and sound designer for film. I have worked in the music industry for many years and have worked with many singer/songwriters and recording artists in the production of their music. I also enjoy teaching music production, and songwriting. Learn how to record music on Logic Pro X! LESSONS IN PERSON OR ONLINE! I'm Sloane, a recent graduate of Berklee College of Music now living in Los Angeles. I'm a musician, songwriter, and producer with 10+ years of experience. I'm fun loving, patient, and dedicated to helping my students reach their musical goals. Rather than implementing a typical teacher/student hierarchy, I treat my lessons like a one-on-one collaboration. I guide my students through all the steps of music creation from general music theory to singing, songwriting, music production, recording, and mixing. I love giving my students the tools to express themselves musically. Sloane creates a comfortable learning environment and is very understanding of/patient with her students. She demonstrates a genuine passion for music education, which is made evident by her dedication to cultivating personal and unique relationships with her students based on their particular tastes/interests and learning styles. 10/10!! Sloane is a very talented musician. She can sing, play guitar, produce, perform, and knows the business of music inside and out! She is also very patient and passionate. I could not recommend her more! Want to learn how to produce Bass Music & EDM? Learn synthesis so you can make your own epic bassline! Learn how to make amazing and complex build ups and drops! Learn how to produce tracks like: Deadmau5, Dada life, Knife Party, Kaskade, Skrillex, Armin Van Buuren, Paul Oakenfold, DJ Tiesto, The Prodigy, Underworld, Radiohead, Skinny Puppy, Headhunterz, Toneshifterz, Pendulum, Netsky, Porter Robinson, Mad Maxx, Carl Cox, Velvet Acid Christ, Nero, 16bit, Excision, Datsik, Bassnectar, Eskmo, Bar9, Skism, Bare, Muffler and many others! Learn How To Produce Any Type Of Music! Want To Master The Most Flexible Professional Software Around? Want To Learn Ableton Live? Don't Know Were To Start? I know Ableton like the palm of my hand, I've been working on Ableton since v1 and have used it as my main sequencer ever since. I Produce & Teach Electronic Music out of my studio based out of Los Angeles. I've been making music for over 15 years, Familiarizing myself with the whole spectrum of EDM and Underground Electronic music. With releases on Metropolis Records, Metalblade Recordings, Samurai Music, Onset Audio, Santoku Recordings, Elm Imprint, as well as Ammunition Recordings. I've toured and performed as a guitarist for the band Dawn Of Ashes from 2012-2015. I work on Film Scoring and Sound Design in my spare time and I Dj frequently as part of the LA night life. Can't find a teacher in Valencia, CA? cessible way that I could understand and actually learn! I loved going through the recording process with danny and coming out with a great result!" Los Angeles, CA teacher: Daniel S.
t I was finally able to grasp the concepts of music production. The main thing I loved about taking his class is that he is a not a "one size fits all" type of guy. Anytime I wasn't understanding a topic he would tailor it more to my style so I would be able to pick it up easier." knowledgeble and easy talk to. Marcus"
"Iran is everything you would want in a teacher: professional, knowledgeable, fun, passionate, and caring. Two thumbs up!" lp my dream become a reality. Looking forward to continue working with her and excited to see what's in store for the future." tudent from beginner to expert. Highly recommend!"